Lyrath Estate Hotel is located on the outskirts of Kilkenny City, Ireland. It is a 5 star hotel set in almost 70 hectares of mature parkland. The hotel consists of the restored 17th century house carefully combined with a modern building. The house and surrounding estate were once the home of the Tobin family. The Tobin family were evicted by Oliver Cromwell following his capture Kilkenny City in 1650. James Butler Marquess of Ormonde, from the Irish Confederate capital of Kilkenny led the army opposing Cromwell when he arrived to conquer Ireland. Cromwell had been ruling England as a republic since 1649. Butler’s army was forced to retreat from Rathmines following a surprise attack. Having taken Drogheda Cromwell marched South capturing Wexford and Waterford. When Carlow and New Ross had surrendered to him Cromwell laid siege to Kilkenny and captured the City. In May 1650 Cromwell returned to England to lead an army to conquer Scotland. By 1653 the conquest of Ireland by Cromwell’s army under Ireton was complete. Many landlords, including the Tobin family, had their lands confiscated. Richard Tobin of Lyrath House like many other landowners was ordered to move to Connaught. The orders gave rise to the expression: ‘To hell or to Connaught’. The Penal Laws already in place in England were imposed on Ireland. Most of the ordinary population, however remained on the estates and many of the estates were restored to their original owners after the English Restoration of 1660. Though it was put back to March 1st 1655 Richard Tobin of Lyrath had a certificate of ‘Transplantation to Connaught’ signed in the year 1654 On This Day. Adolf Hitler was born in Braunau am Inn, Austria on April 20th 1889. 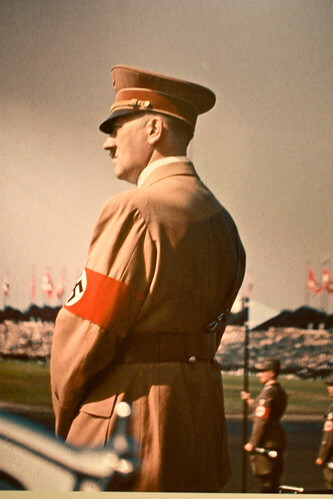 He was the leader of the National Socialist German Workers’ Party (NAZI Party), which controlled Germany from 1934 to 1945. Hitler was also Chancellor of Germany during those years. In September 1939 Hitler invaded Poland. The invasion led Great Britain and France to declare war on Germany which began World War II. Hitler and his allies had conquered most of Europe and North Africa by 1941. He invaded the Soviet Union but failed to defeat the Red Army and was forced to retreat. This, together with the entry of the United States into the war, led to the defeat of NAZI Germany in 1945. Hitler died at the age of 56 in April 1945. Over 5.5 million people of the Jewish faith and millions of others who were regarded as sub human were exterminated during the reign of the NAZI regime. Millions of civilians and soldiers also died during World War II. Adolf Hitler died in the year 1945 On This Day. Edward VII, King of the United Kingdom, and his wife Queen Alexandra visited Kilkenny City, Ireland in 1904. 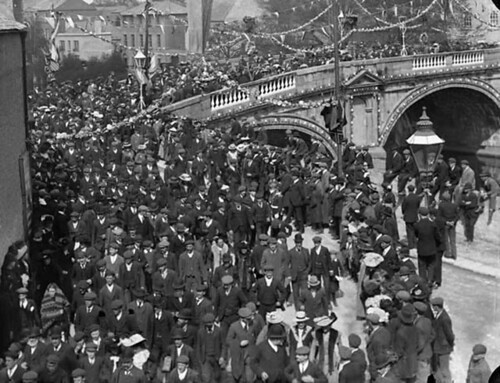 The royal couple and their daughter Princess Victoria had arrived at Dún Laoghaire (then Kingstown) on April 26th 1904. They travelled by rail to Naas and attended the Punchestown Races for the day. As Prince of Wales Edward VII had previously attended the Punchestown Races in 1868. The Royal party later continued their journey, again by rail, through Carlow to Kilkenny City. King Edward VII was no stranger to Ireland. As Prince of Wales he was stationed at the Curragh in Kildare when his mother Queen Victoria, her husband prince Albert and three of their nine children came to visit Ireland in 1861. At the time he was undergoing military training with the Grenadier Guards. Queen Victoria and her family spent eight days visiting several part of Ireland including Killarney and the Curragh Camp where she watched he son marching on parade. Whilst stationed at the Curragh the future Edward VII began a relationship with Nellie Clifton who was described as an actress. His parents were horrified when they heard of the relationship. Queen Victoria blamed the relationship for the early death of her husband. When he became king following the death of Queen Victoria, Edward VII visited Ireland in 1903. However he curtailed his visit due to the death of Pope Leo XIII who died on the day of the king’s arrival in Ireland. In 1904 The Royal party arrived by train to a bright, colourful Kilkenny city which was festooned with flags and bunting. The route from the railway station to Kilkenny Castle was decorated with tiny fairy lights of every colour together with bunting and streamers. Among all the colour and excitement at the visit however, flags protesting at the visit were hung from some windows along the route. The Royal party was welcomed at the railway station by Kilkenny city authorities and the Marquis of Ormonde. As the King and his family made their way through the thronged city streets there was chanting and cheering from the crowds. On the first night of the visit a fireworks display was held that lit up the night sky of the entire city. During their two day stay in Kilkenny the Royal family visited the Kilkenny Agricultural Show. The show was being held in St James Park on Saturday, the first day of their visit. On Sunday the family attended service in St Canices Cathedral and attended other events. Princess Victoria planted three trees in the grounds of Kilkenny Castle. Having spent two nights and three days in Kilkenny the Royal family left by train for Waterford. They sailed form Waterford on May 4th. 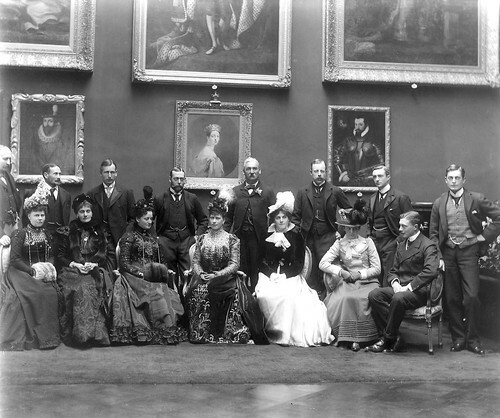 The King and his wife visited Ireland again in 1907. King Edward VII began his visit Kilkenny city in the year 1904 On This Day. Hadden’s Shopping Centre is located on Tullow Street in Carlow town, Ireland. The Centre is home to Hadden’s Department Store and several other businesses. Hadden’s, one of the oldest businesses in Carlow has been in operation for over one hundred years. The Hadden family business was established in Wexford town in 1848 by George and Francis Hadden. The family opened a shop on Tullow Street in Carlow town in 1909. 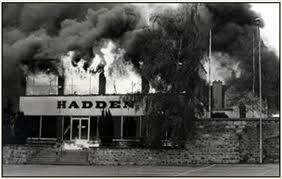 In April 1984 the shop, which traded under the name of W G Hadden Ltd, was destroyed by fire. Smoke from the fire could be seen from a long distance and thousands of people came to Carlow town centre to watch as the business was destroyed. The fire was fought by Carlow Fire Service. Assistance was sought from Kilkenny Fire Service. Kilkenny sent its snorkel and a water tender from Thomastown. It took almost two days to completely extinguish the fire. Nobody was hurt but the damage was estimated at the time to be well over one million pounds. Haddens Department Store in Tullow St, Carlow was engulfed by flames and subsequently burned to the ground in 1984 On This Day. Kevin Moran is a native of Dublin, Ireland. He played both Gaelic Football and soccer at the highest level. He was the winner of two All-Ireland football medals with the Dublin senior GAA team. He also won two FA cup medals with Manchester United Football team. Moran made 71 international appearances with the Republic of Ireland Football team. Kevin Bernard Moran was born in Rialto, Dublin in 1956. He played Gaelic football with his school and soccer with Dublin clubs such as Bohemians and Pegasus. He made his debut with the Dublin senior GAA team in 1976. Moran went on to win All-Ireland medals with Dublin in 1976 and 1977. He was chosen as a member of the All-Stars in 1976. In 1978 Moran signed for Manchester United. He made 289 appearances for the club and scored a total of 24 goals. During his time with Manchester United Moran won an FA Cup medal in 1983 and 1985. He also played soccer at international level for Ireland from 1980 to 1994. 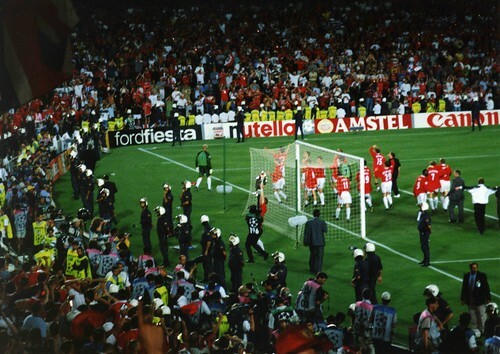 He scored on six occasion with the international team. He retired in 1994. Kevin Moran was born in the year 1956 On This Day.